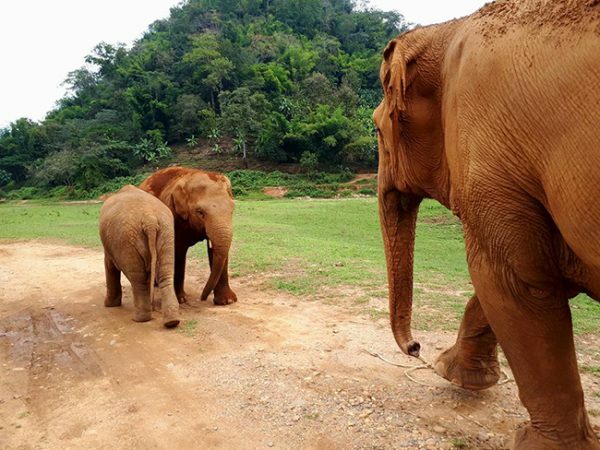 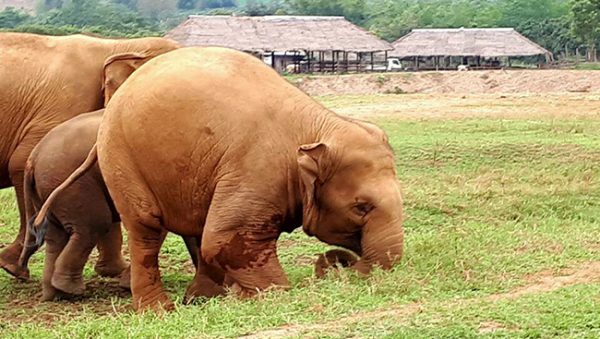 Yindee made a short visit with Thong Ae and Dok Geaw who are being supervised by Dani then he return to join his family quickly. 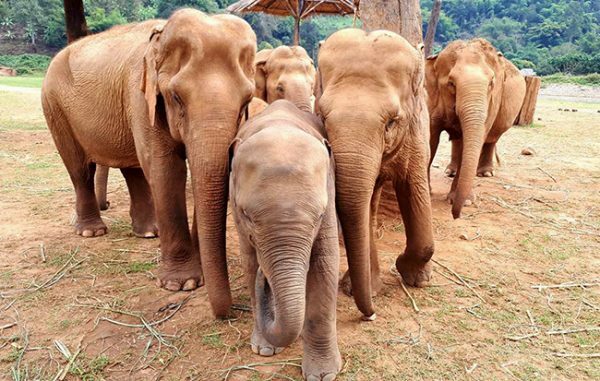 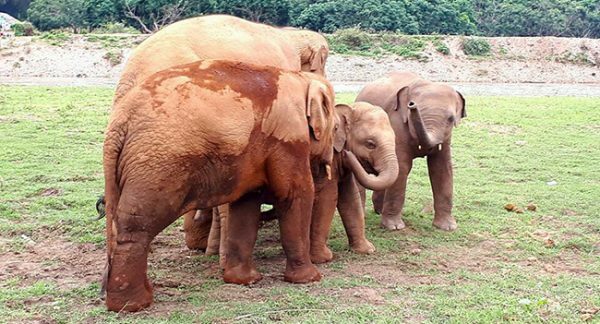 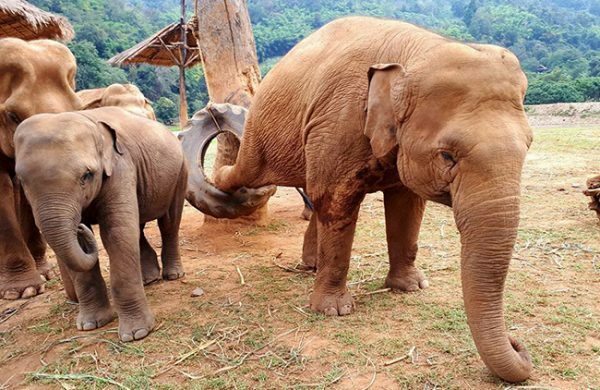 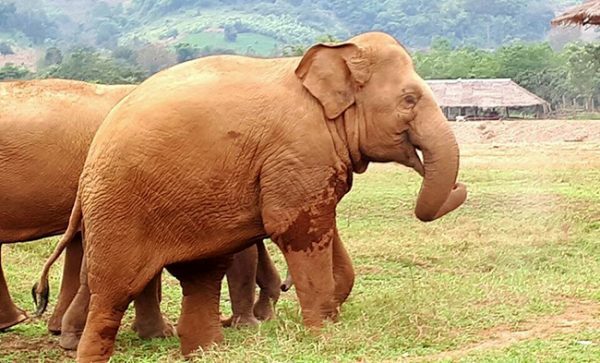 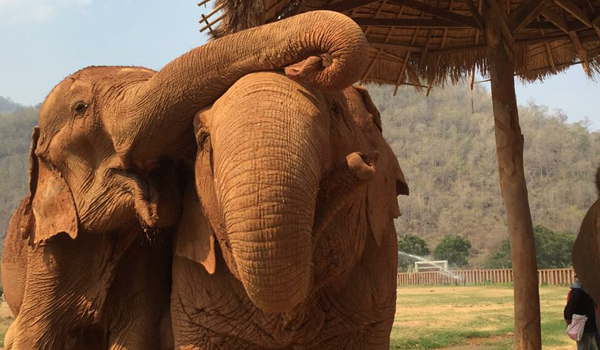 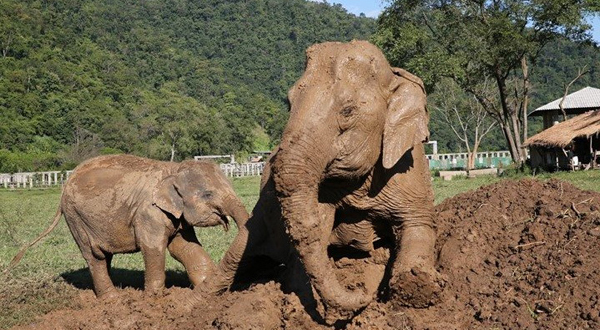 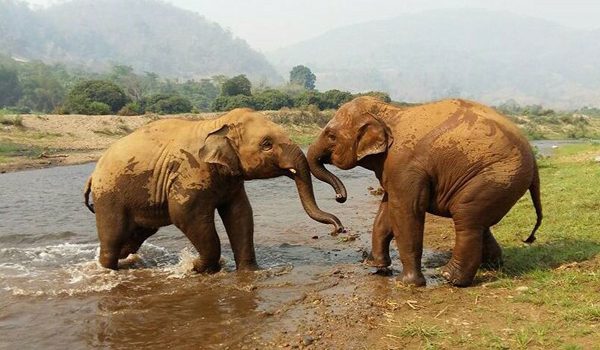 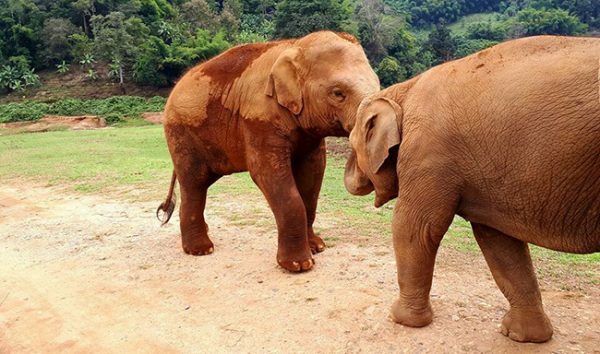 Faa Mai came to get involve with these baby elephants playing in the field. 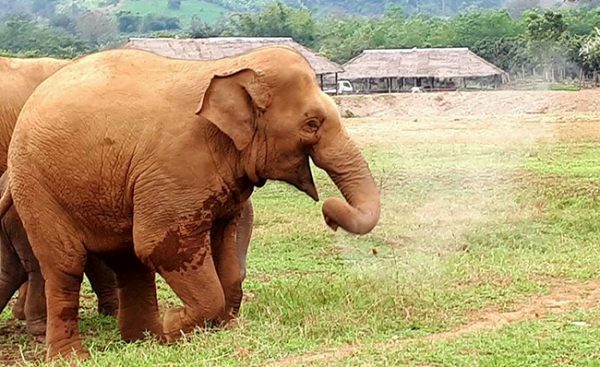 She tried to encourage Thong Ae and Dok Geaw with her hilarity, she finally has the audience of a more welcoming crowd. 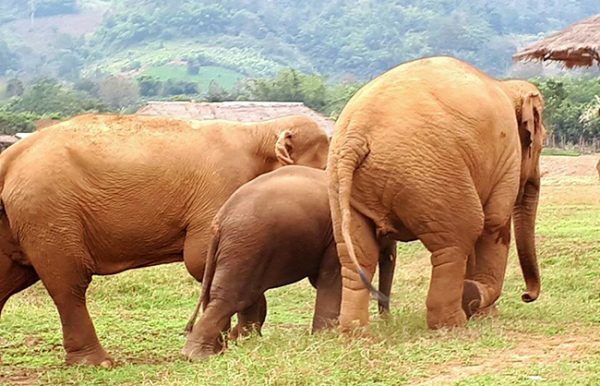 It is such a joyfulness to see baby elephants sharing their happiness and being a lovely family. 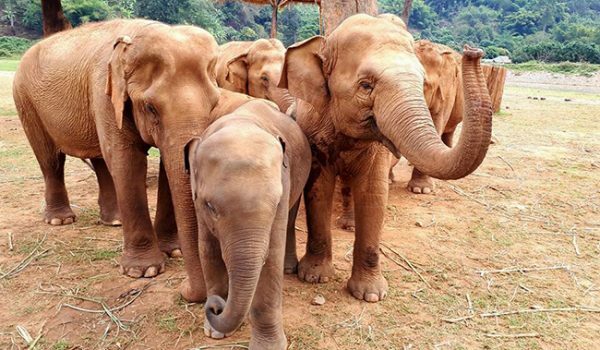 next post: Adorable baby elephants find their own way to celebrate the joyfulness.